My brother’s ears will be burning tonight. Isn’t that the saying when someone knows you are talking about them? Or, is it said “their nose is itching?” Not sure, but either way. 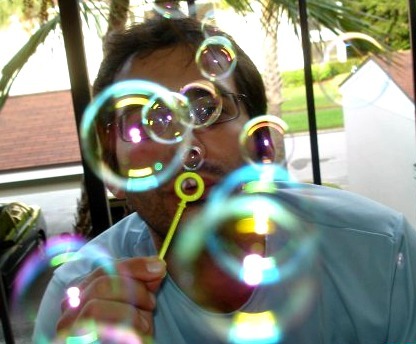 Sam, my dear brother, you are the hot topic! In all truthfulness, I told him that he would be the subject of my blog on deer ticks or more accurately, his precious pup Trooper would be. 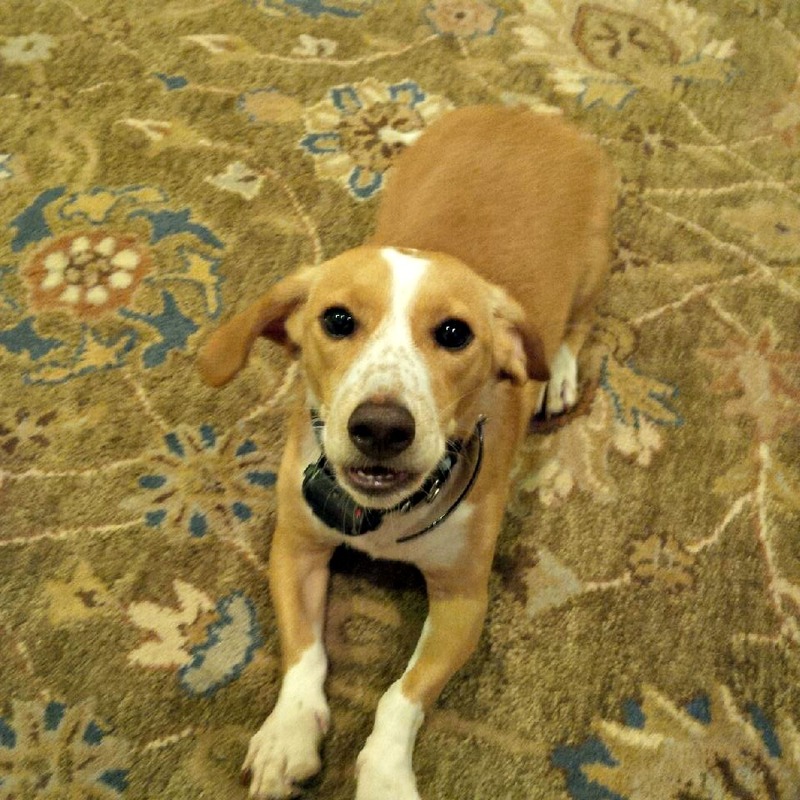 Sam even provided the pictures of adorable Trooper to share with you. And, he is super cute, isn’t he? Gotta love a hound! Trooper has a tick problem you see and the poor guy has had issues with ticks on and off since last winter. Living in the northeast on property that is filled with deer means ticks are prevalent. Although my brother has battled the bugs valiantly, Trooper, the one and a half year old hound, was recently diagnosed with Lyme disease. Ixodes scapularis are also known as black-legged ticks and are most commonly found in the eastern part of the United States. These pests prefer to reside in wet brushy areas, on leaves and plants frequented by their hosts. Deer ticks are carriers of the bacteria that cause Lyme disease and can pass this disease on to humans and other animals. 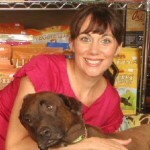 In fact, the website tickencounter.org estimates that 40-60% of all female deer ticks are infected with Lyme disease. Lyme disease presents itself in pets commonly as lameness in the legs due to the inflammation associated with the disease. Trooper was taken to the vet because he was unable to put weight on his right front leg which alerted my brother and the doctor to the potential for Lyme disease. Trooper is on the mend! Barring a severe condition, your veterinarian will likely recommend one of many antibiotics. 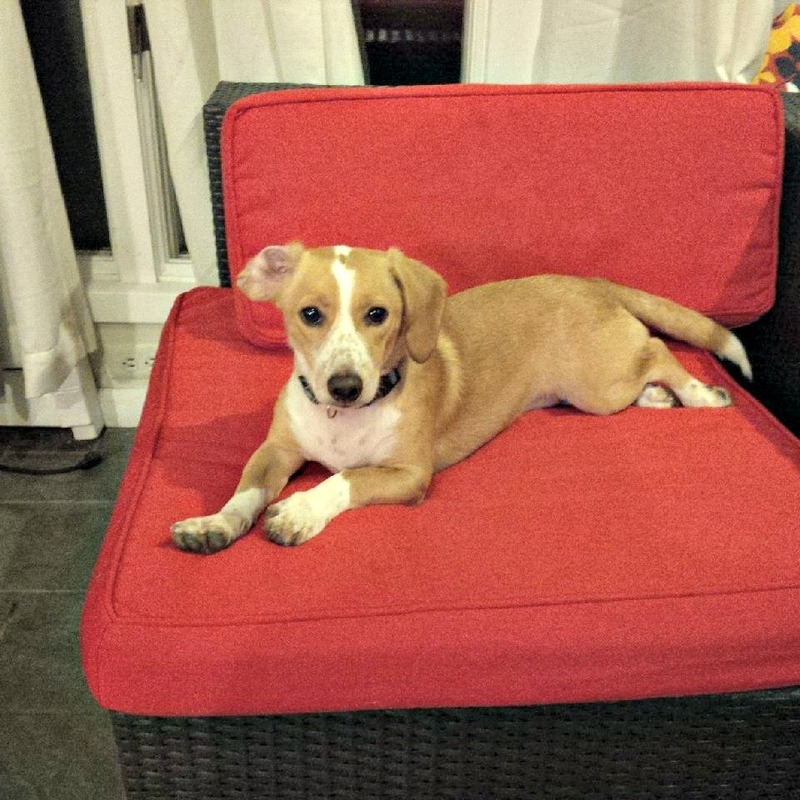 Trooper is currently on a 28 day cycle of ‎Doxycycline monoclate 100 mg. Unfortunately, a 100% clean bill of health is not guaranteed. Sometimes, joint pain will plague the patient on and off for the rest of their life. Fingers are crossed for young Trooper. Natural spray with neem seed oil will repel deer ticks. My brother had treated his yard with diatomaceous earth among other things and uses topical solutions on Trooper. The tick situation had improved until Trooper went to doggy boot camp this August. Three days after returning home he began to limp. And, my brother confesses to not being exactly “on time” with Trooper’s topical treatment the last time or two. Treat your yard with food grade diatomaceous earth. This safe and natural powder effectively kills ticks and fleas. Concentrated garlic spray can be sprayed around the yard to repel ticks. Ticks love body heat and scent, especially of a dog. 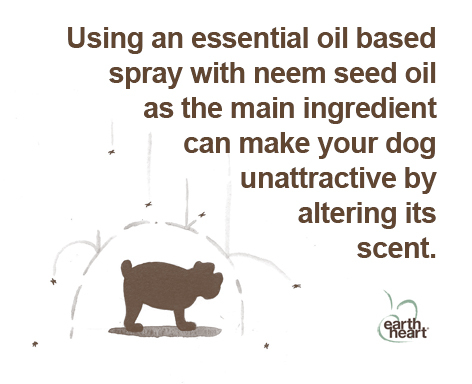 Use a natural spray with Neem seed oil as the main ingredient to alter your dog’s scent and repel ticks. Check your dog immediately when it comes in from the outdoors and repeat the check in about 1.5 hours. Time is of the essence in disease transmission. If a tick is found, remove it safely with tweezers. Make sure to remove the complete tick and do not leave any of the mouth parts in your pet. Infection is very likely if you do. The deer tick is not the only tick out there. Many other varieties exist and affect other parts of our country. 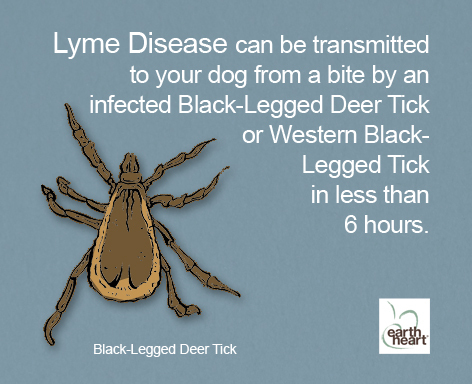 Also true- Lyme disease is not the only tick carried disease affecting humans and pets. Read more about tick related disease and types of ticks here. Be safe and tick free by treating your yard and pets appropriately! 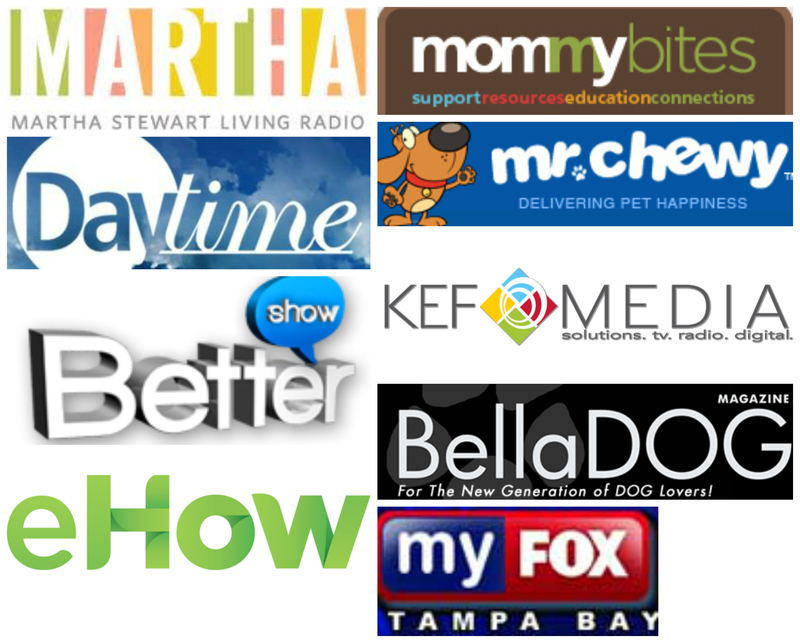 « Super Foods for Your Pet on Daytime TV!